Geneva/New York, 3 March 2017 - The Secretariat of the Convention on International Trade in Endangered Species of Wild Fauna and Flora (CITES), the facilitator of the global observance of UN World Wildlife Day, announced today at the UN Headquarters in New York that Gabor Li from Hungary is the grand prize winner of the World Wildlife Day 2017 photo competition. The winner received the certificate from CITES Secretary-General John E. Scanlon and Assistant Director of US Fish & Wildlife Service Bryan Arroyo at a high-level event led by the President of UN General Assembly to celebrate the Day. Engaging and empowering youth in wildlife conservation is the call of World Wildlife Day 2017 and the competition, themed ‘Through young eyes’, invited young people across the world aged 10 to 24 to submit their wildlife photographs. The competition received an overwhelming response with more than 500 entries coming from youth across every continent. Gàbor Li, a 17 year old high school student, has won the competition with his photograph entitled ‘the Blue Diamond’. Gàbor first started taking photographs when he was 7. His passion for photography grew through his teenage years. From his vast collection of captured images it is easy to see his love of nature and wildlife, and his dedication to photographing the many beautiful species of the world are deeply admirable. As the grand prize winner, Gàbor was invited to attend the major celebration of World Wildlife Day at the UN headquarters in New York. The photo competition was organized by the CITES Secretariat. CITES Secretary-General, John E. Scanlon, said “We are delighted to have Gàbor here with us in New York today as the winner of this year’s World Wildlife Day competition. His photograph shows a good eye for detail and an obvious talent for photography. We are deeply encouraged by his interest in wildlife photography from such a young age and his commitment to celebrating the many beautiful and unique forms of wildlife”. 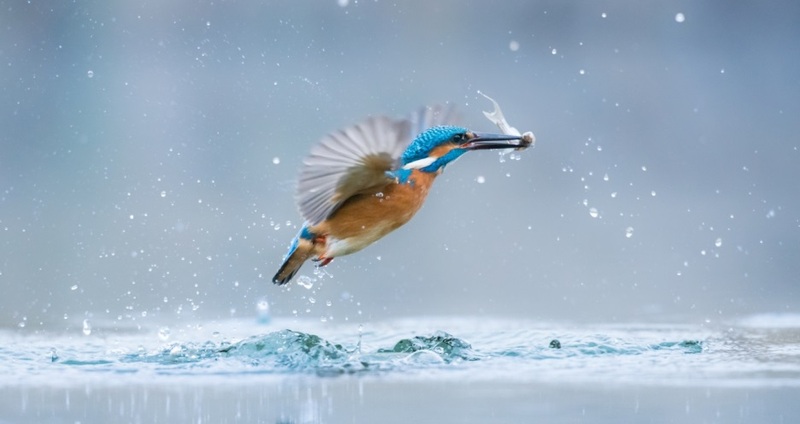 “The photo competition was aimed to motivate and galvanize the youth to take action to protect wildlife from the threat of extinction and Gàbor’s photo is an inspiration to all of us. We thank all of the youth who sent in their wonderful photographs and while there can only be one winner, we can all be champions of wildlife” added Scanlon. President of UN General Assembly Mr Peter Thomson, Deputy Secretary General of the United Nations Ms. Amina Mohammed, Minister of Environmental Affairs of South Africa Mrs Edna Molewa, Executive Director of the United Nations Office on Drugs and Crime Mr Yuri Fedotov and other leaders attended today’s high level event to observe this special day on the UN calendar which is the day when CITES was signed in 1973. Over the past four decades, our planet has lost as much as 50 per cent of its wild animals and plants – and, in some areas, even more – due to the impacts of climate change, habitat loss, over-exploitation, poaching and illicit trafficking, with poaching and illicit trafficking posing the most immediate threat to both iconic and lesser known species. At the event, member States and international organizations discussed the both the challenges and progress made to combat illegal trade in wildlife as well as the engagement and empowerment of youth in wildlife conservation. In just four years, World Wildlife Day has become the most important global annual event dedicated to wildlife and it has helped pave the way for the adoption of some game-changing wildlife decisions. 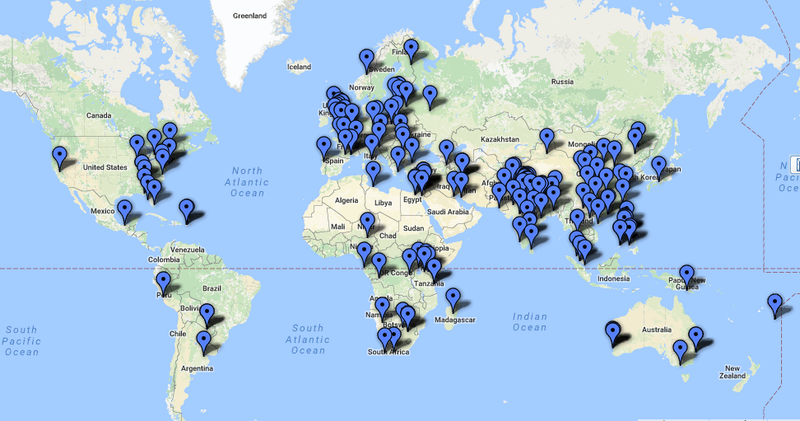 The above map shows the events submitted so far by countries around the world. The 10 finalists of the photo competition can be viewed here. A complete gallery of photographs is also available here.